Italdesign "won the Grapas Innovation Award 2018 with its new sensor technology, high energy efficiency, and stunning design"
Italdesign Industrial design division was awarded the Good Design Award 2018 for its rollermill designed for Henry Simon, the milling industry’s pioneer brand. 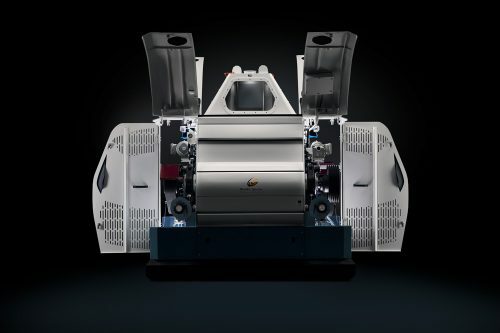 Henry Simon brand which was re-launched by Satake and Alapala announced its partnership with the Industrial Design Division of Italdesign, for all its machine range. The first step was taken for the rollermill design which is a stunning combination of technology, functionality and ergonomics. 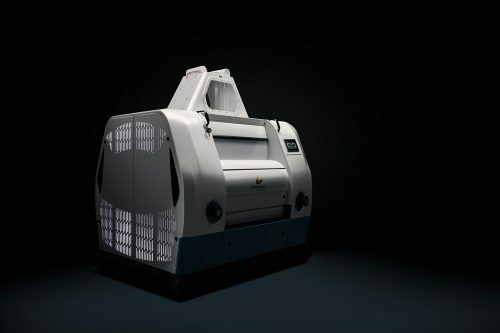 The rollermill won the Grapas Innovation Award 2018 with its new sensor technology, high energy efficiency, and stunning design. The Henry Simon Roller Miller is the result of Henry Simon’s experience in the technology and engineering of roller mills and the complete range of milling machinery. Henry Simon is designed for high, continuous and consistent grinding of cereals such as wheat, maize (corn), rye, spelt, barley and sorghum. A uniform feed rate across the grinding rolls ensures a consistent grind. GOOD DESIGN® is the world’s most prestigious, recognized, and oldest Design Awards program organized annually by The Chicago Athenaeum Museum of Architecture and Design in cooperation with the European Centre for Architecture, Art, Design and Urban Studies. GOOD DESIGN covers new consumer products, graphics, and packaging designed and manufactured in Europe, Asia, Africa, and North and South America.